Wolves captured Solikamsk, Dusseldorf, Monte Carlo, Cologne, Scope, Fort Knox and Serpuhov. Lions are still in the first place in the event and right after them are Bears with Wolves closing the competition. 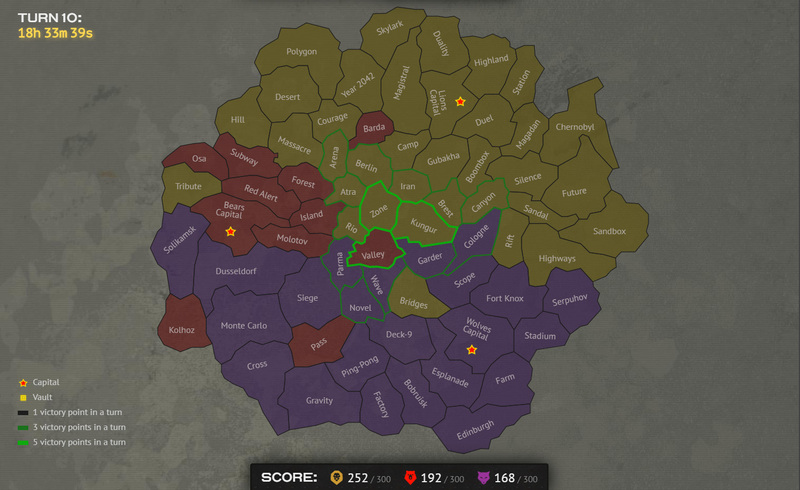 Will the factions remain on the same positions tomorrow or the placement will suddenly change? Let’s find out soon! Play the War Final, battle for territories and don’t forget to earn enough stars for the last chances of extra containers.